For 45 years, Caroll Spinney has been beloved by generations of children as the man behind Sesame Street's Big Bird and Oscar the Grouch - and at 80 years old, he has no intention of stopping. 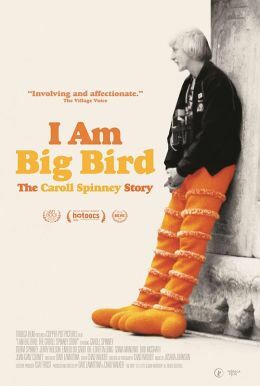 A loving portrait of the man in the yellow suit, I Am Big Bird features extraordinary footage of Spinney's earliest collaborations with Jim Henson as it traces his journey from bullied child to childhood icon. And as the yellow feathers give way to grey hair, it is the man, not the puppet, who will steal your heart.